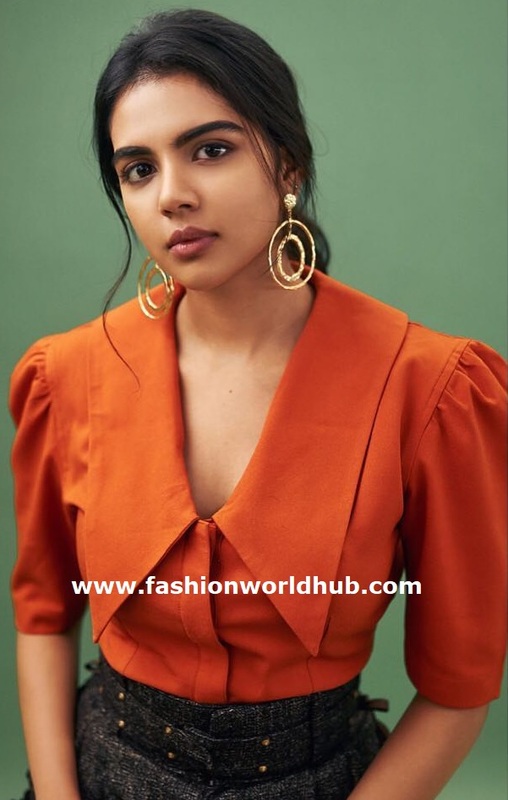 Kalyani Priyadarshan at Chitralahari promotions! Kalyani Priyadarshan for the promotions of Chitralahari movie promotions she wore a wide collar button blouse & flare pants set by ” Three piece company” and “Rk Bahuja”. She topped her look with gold hoop ear rings by ” Aquamarine jewellery” . Soft up do hair and neutral makeup rounded her look.